Here’s a wrap-up of the articles I posted in January 2012 on WindowsITPro.com. Predicting the World of Exchange in 2012 started the ball going in January 3. This article attempts to make some predictions as to what might occur in terms of new developments during 2012. Like any similar article published at the start of the year, I’ll probably have some accurate observations and some that don’t quite come to pass. Such is life. The Sharing of Exchange MVPs on January 5 was a popular post. I think this was because it includes some practical examples of the many varied contributions that those who are Exchange MVPs make to the technical community. Microsoft boosts Office 365 Plan K capabilities, published on January 10, is a short article published on January 10 to review some upcoming changes that Microsoft is making to the features of Office 365’s Plan K. Suffice to say that apart from the addition of ActiveSync support, I wasn’t too enthused about the update. Once Microsoft has updated Plan K, it’ll mean that these “kiosk” users will be able to connect to their mailbox with ActiveSync from a wide range of mobile devices, including Apple’s i* devices, Android, and Windows Phone. Who Are the Exchange MVPs? appeared on January 12 as a follow-up to the article about MVP sharing in an attempt to shed some light as to who are the MVPs and where they come from in terms of international distribution. I apologize to anyone who was omitted and felt that they deserved a mention. The future of Exchange administration, published on January 13, was a reaction to a Microsoft blog post outlining some of the work that has been done in Windows 8 Server to start the process of removing the need for administrators to physically log on to servers. Exchange has been on the path to remote administration for quite a while and the value of the work can be seen in Exchange 2010 and Office 365. Other parts of the Windows ecosystem need to catch up… and a big part of that will happen in Windows 8 Server. Migrating PST data to Office 365 on January 17 reported my experiences of moving data that I have (not so lovingly) maintained in a number of PSTs into Office 365. Microsoft wants people to move away from PST storage to use the super-big mailboxes and archives supported on Exchange 2010 and Office 365. It would be nice if I didn’t have to resort to drag-and-drop to move data but that’s the only way to do it today… until Microsoft releases their much-hyped PST Capture tool (still in the gestation process)… or by using a commercial third-party tool. Free online Exchange 2010 training on January 19 reported the initiative of Paul Cunningham, an Exchange expert based in Brisbane, Australia, to provide free online Exchange 2010 training. You can’t argue with the price point and I understand that nearly a thousand people have signed up to date. Paul is pushing out new modules as fast as they are developed and I think he’ll still accept registrations – if you ask nicely! Some problems with the MVP program on January 26 is a response to a blog by ex-MVP Rob Eisenberg where he laid out some problems that he had with Microsoft’s Most Valuable Professional program. I’ve seen some of the same problems and I thought it worthwhile to lay out what they are and how Microsoft might address the issues. Recognition problems are notoriously difficult to manage across a worldwide community. People have different expectations of performance, input, and achievement based on their experience and the local market. It’s difficult to create a level playing field that respects country-level differences, but I think Microsoft can do a better job. I hope that they listen. RIM launches BlackBerry service for Office 365 users is a straightforward news item posted on January 30 about the general availability of RIM’s BlackBerry Business Cloud Services for Office 365. The title of the new service says it all. Hope that these items make sense and add some value. 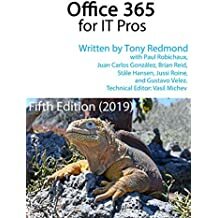 This entry was posted in Email, Exchange, Exchange 2010, Office 365, Writing and tagged Brazil email law, Exchange 2010, MVP, Office 365, Outlook 2010. Bookmark the permalink.